WASHINGTON (CNN) - US Director of National Intelligence Dan Coats said on Tuesday that there are ongoing conversations taking place between President Donald Trump and appropriate US agencies about how to counter the threat of Russian attacks on the 2018 midterm elections. "It is a whole of government approach, I have discussed it personally with the President of the United States and he has said I assume you are doing your jobs ... all of you that head up these agencies relative to cyber but if you need for me to say, direct you to do it -- do it," Coats told lawmakers on the Senate Armed Services Committee. "The White House is engaged and has been," Coats added, noting that the current discussion is not just about defensive measures. However, Coats appeared to walk back that answer later in the hearing when asked to clarify the response, telling lawmakers that he was describing ongoing discussions about combating cyber threats more broadly and not within the specific context of Russian election interference. Asked then if he has heard anything from White House on directly responding to Russian election interference, Coats said, "there obviously is concern about this ongoing effort of Russians to interfere with our elections." "The White House is well aware of that as we all are and the agencies have been tasked to address this," Coats added, noting that meetings have also included state and local election officials relative to protections. While Coats said that it is "highly likely" the Russians will attempt to interfere in the 2018 US midterm elections, he admitted "we just don't know how much and when, where." "We have not seen evidence of a robust effort yet on the part of Russia but we know their malign activities continue." he said. Asked Tuesday whether he was concerned Russia could have an effect on the midterms, Trump insisted the US would prevent any election interference efforts. "No, because we'll counteract whatever they do," Trump said. He also encouraged states to introduce paper based backups to avoid attempts to hack electronic voting systems. "You have to be very vigilant. One of the things we're learning, it's always good to have a paper backup system of voting. Called paper. Not highly complex computers. Paper," he said. Coats' testimony comes just one week after Adm. Mike Rogers -- director of the National Security Agency and Cyber Command chief -- told lawmakers that he has not been granted the authority by Trump to disrupt Russian election hacking operations where they originate. "It has not changed the calculus or the behavior on behalf of the Russians," Rogers said about the US response to Russia's cyber threat to date. 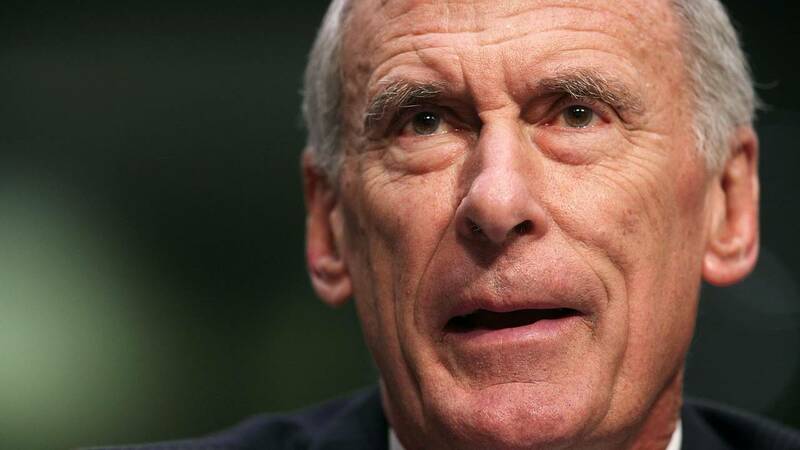 On Tuesday, Coats was questioned on several occasions by lawmakers who argued that his testimony directly contradicted Rogers' claim that Trump has not granted him the authority to respond appropriately to the threat of ongoing Russian election attacks. "The NSA, which Adm. Rogers directs, is one component of many agencies involved," Coats said, adding that the Department of Homeland Security has taken the lead on the issue and is engaged with the White House. When pressed for specifics as to what is being done, Coats said that information is classified. Later, Coats was again asked: "The President of the United States has never directed you to do to Russia what they are doing to us, correct?" "The President directs me to do my job and my job is to provide the intelligence, which formulates policy," Coats responded: "The President told me to do my job. My job is to collect, to oversee the 17 intelligence agencies that ... provide the intelligence information to the President and to our policy makers."